The most popular procedures are: veneers (composite or porcelain), implants, tooth whitening, gum alterations, bridges and root canals. 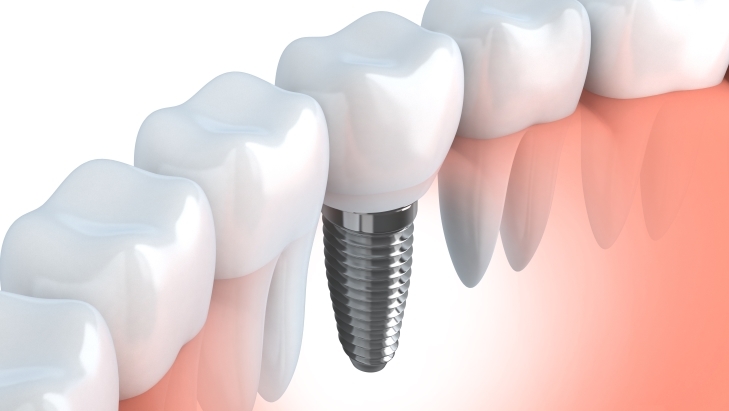 A dental implant is a titanium metal rod, inserted into the jawbone and used to support a false tooth. In practice, both the false tooth and its supporting rod are known as ‘implants'. A porcelain veneer is made from moulds of your teeth in a laboratory. Your real teeth are then drilled down and the new porcelain veneers, which have been designed by a computer to be the right shape for your mouth, replace your old teeth. Your teeth will then look straighter, whiter and give you a new brilliant smile. In just one visit you can change of your smile. No drilling, no pain, low costs. In the hands of Professional Beauty's skilful dentist, Michael, dental composite can be used to create beautiful and natural looking veneers. The appearance of your crown is of critical importance. A beautiful porcelain crown has no black line at the top of the tooth, and will perfectly match and blend in with the other teeth. Teeth whitening to remove stains and discolouration from teeth is a popular treatment. For laser tooth whitening the dentist carefully applies a gel to your teeth, and then uses a laser light to activate the crystals in the gel. For example a tooth implant in Poland costs about £600, whereas in the UK an implant can cost £1500. Dentist Michael Karolewski has almost 20 years successful experience in his field. He specialises in all forms of Cosmetic and Reconstructive Dentistry. At the same clinic, his wife Eva works as a dentist specialising in the reshaping of gums. Both Eva and Micheal work with Wroclaw University training dentists from across Europe. Bucharest British Dental Place and their Clinical Director, Professor Ninian Peckitt, address the growing problem of peri-implantitis, a destructive inflammatory process that can lead to severe bone loss and loss of the dental implant, and look at how the condition can be prevented.